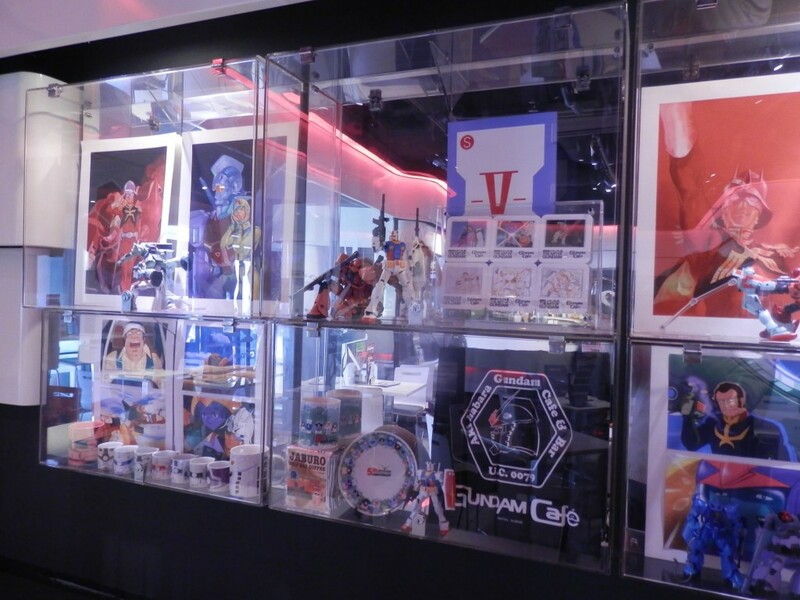 Today, I visited “GUNDAM Café Akihabaraten”. It is located one minute walk from Denkigai outlet of Akihabara station. Antennas of GUNDAM were said to be a life size. 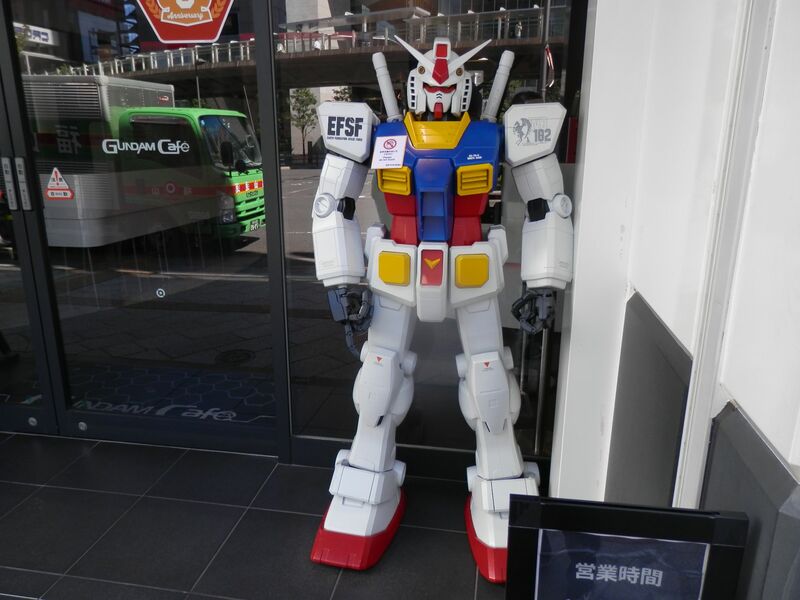 Two GUNDAMs welcome you at the entrance. 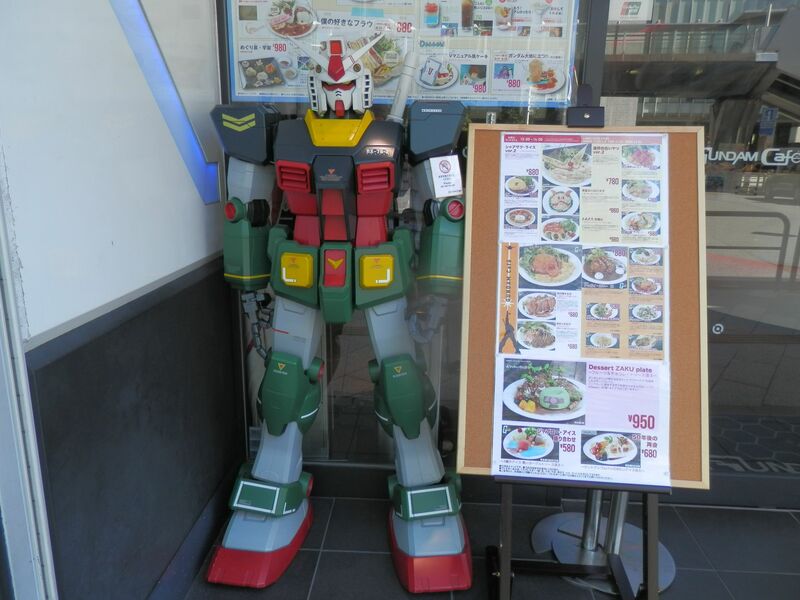 This GUNDAM seemed to introduce a menu. 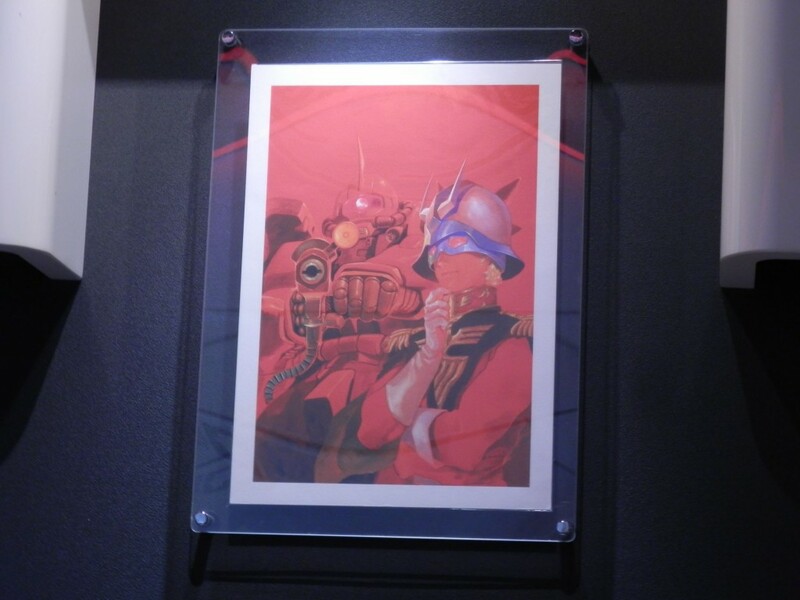 There was a poster of Char Aznable inside the restaurant. There were a lot of figures of GUNDAM and related goods such as mug cups. If you looked up, you could find another GUNDAM. 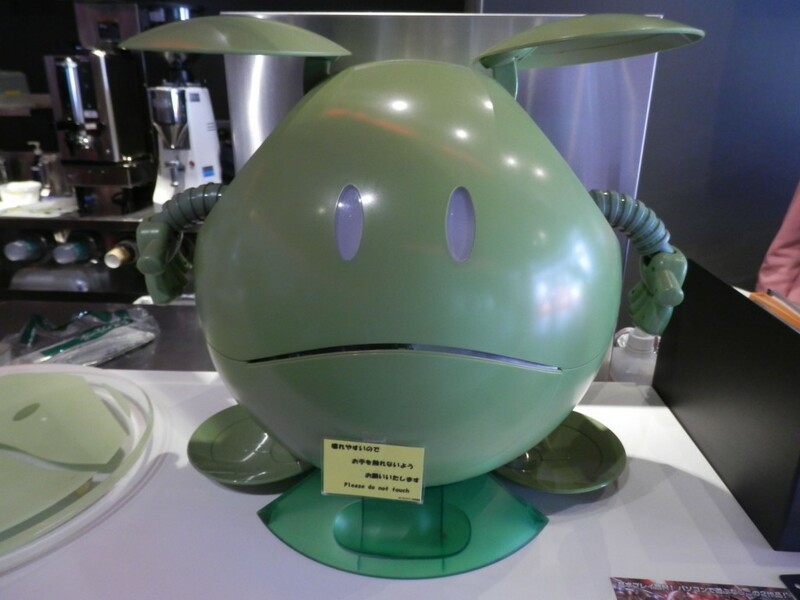 There was Haro, a popular character of GUNDAM series, at a bar counter. 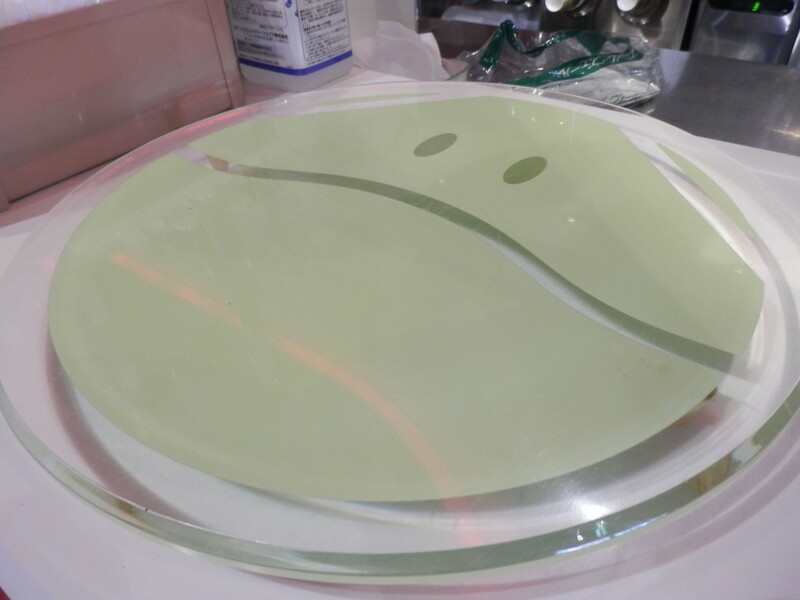 There was another Hara where you receive dishes. Sitting at a table, I found Charzaku rice version 2 on a menu. 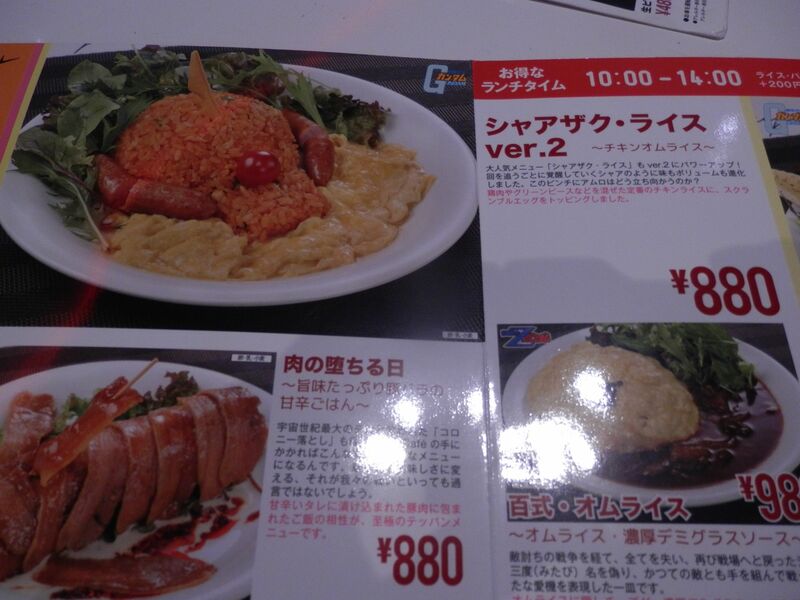 Char Aznable is called red comet, so the dish include red chicken rice with tomato ketchup. Here came the dish around 5 minutes after order. 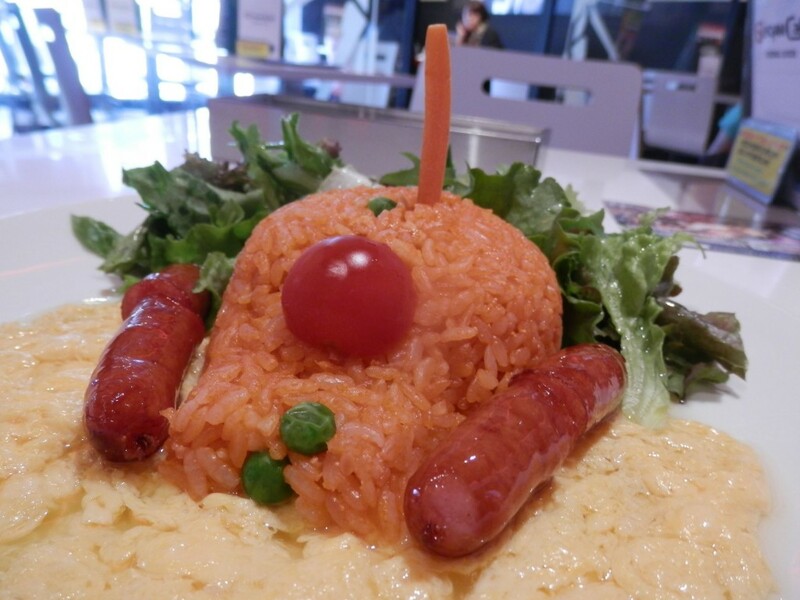 Charzaku rice version 2 (￥880). There were scrambled egg and wiener salad in addition to chicken rice. Haro latte(￥390). 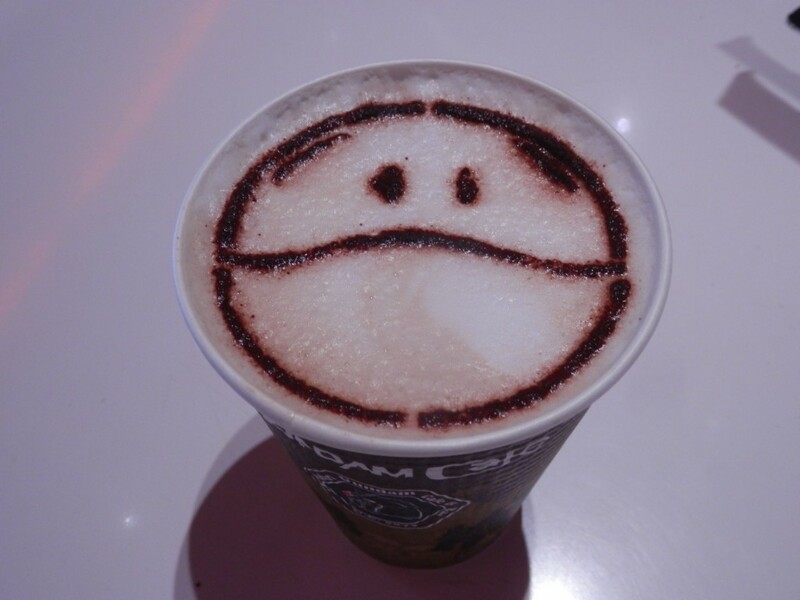 Haro on a café latte. Pretty one, isn’t it. BGM was, of course, a theme song of GUNDAM. You could also find interesting thing in a rest room. Please confirm when you visit there. 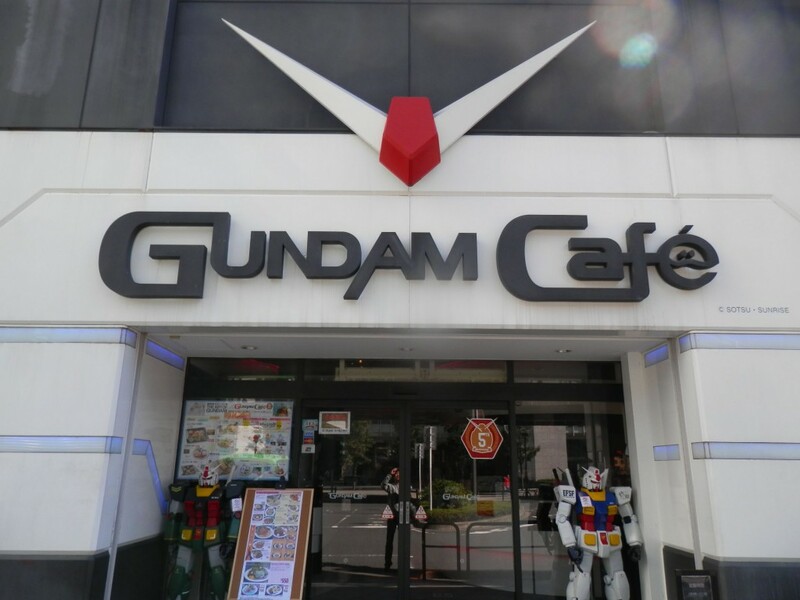 Enjoyable café for GUNDAM lovers. Why don’t you try?